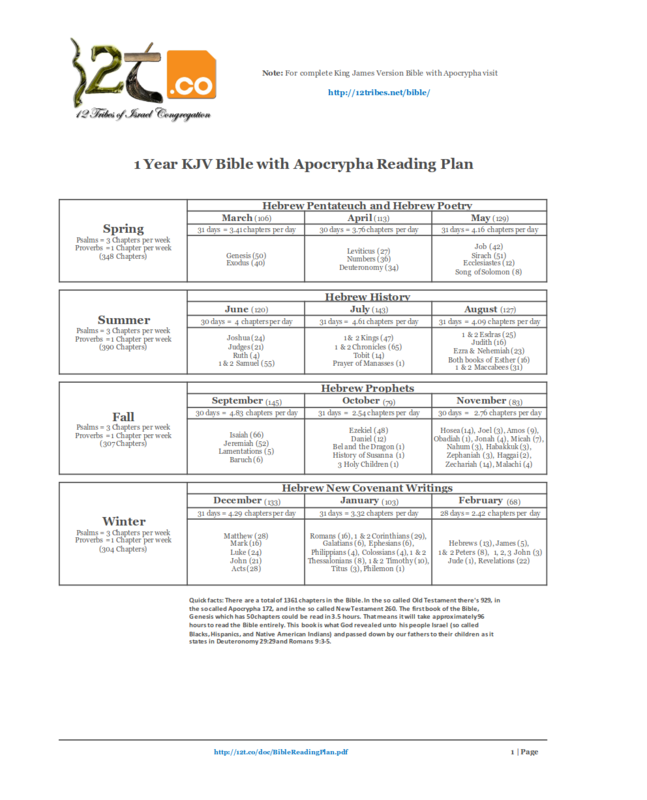 With the beginning of a new month its a great opportunity for those that want to begin reading the Bible. The most popular book in the world is the Bible; over 100 million are sold or given away every year. It is ironic, how the vast majority of people have never read it entirely. Many that possess this book use it as some sort of decoration, opened to the book of Psalms collecting dust. As we should all know, books are meant to be read. But this is no ordinary book, it is miraculous that it even exists. Anyone would agree that it is generally a good idea at some point to read it. Most could not imagine that it is possible to read the whole book in a year. For instance the first book of the Bible called Genesis contains 50 chapters and it could be read entirely in 3.5 hours. Believe me, once you pick it up and start reading it, you will not want to put it down. Of course if you are going to read it for guidance, inspiration, and for spiritual benefits; you might want to dwell in it more. Since at that point you have realized that it is no ordinary book. My advice is, if you are going to take this year long journey. To forget everything you thought you knew about the Bible. Do not make assumptions, do not have prior beliefs blind you from what it is actually saying. Once you begin to read with an open mind your emotions might get tested do not let that deter you from continuing. Finally it is recommended that you start in Genesis and read the books in order. However the first few chapters of Genesis are very hard to understand for a beginner, this is by design. To make the reader seek out righteous Israelite teachers to explain the scriptures. See, Nehemiah 8:8 and Acts 8:30-31.